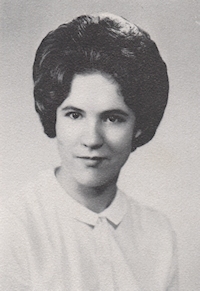 Obituary – Coffman, Judy Ann (Miller) « Perry High School Alumni Association, Inc.
﻿Band ’59-’61, Homeroom Secretary ’59-’60, Spanish Assembly ’59-’60, Christmas Vespers ’59-’60, All School Revue ’59-’61, English Assembly ’60-’61, Annual Staff ’60-’61, F.T.A. ’60-’61, Girls’ Chorus ’60’61, Junior Play ’60-’61, Band Assembly ’60-’61. 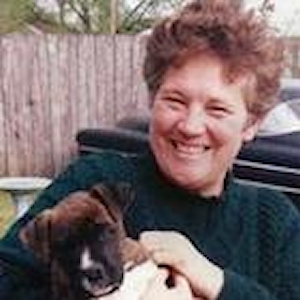 Judy Coffman, age 66 of McQueeney, Texas passed away on May 9, 2011. Memorial services will be held on Thursday, May 12, 2011 at 2:00 p.m. at Tres Hewell Mortuary Chapel with Mr. Brad Dawson officiating. Another memorial service will be held on Wednesday, May 18, 2011 at 2:00 p.m. at Trinity Lutheran Church in Blackwell Oklahoma. Judy was born on September 12, 1944 in Renton, Washington to James Alva and Mable Plano Miller. She was a 1963 graduate of Perry High School. She also received her Bachelors and Masters degrees from Oklahoma State University. She was an educator for over 33 years. Judy was the founder of the Girls Athletic Department in the Blackwell Public School District in Blackwell, Oklahoma where she coached both track and basketball. She and her family retired in McQueeney, Texas in 1998. She is preceded in death by her parents and her only brother, John Alan Miller. Survivors include her husband of 49 years and 10 months, Bud Coffman; daughter, Kelly Coffman-Ceballos and husband Miguel; son, Barclay Coffman. Serving as honorary pallbearers will be Wayne Riedel, Bryan Green, Bland McReynolds, Brad Dawson, Doug Dawson, Miguel Ceballos, Dary Smith, Ross Dawson, Sr., Edward Rose and Herb Campbell. In lieu of flowers, memorial contributions may be made to the Guadalupe County Humane Society, P. O. Box 1593, Seguin, Texas, 78155-1593.